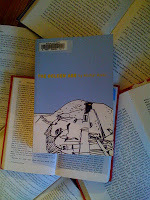 To say that I loved reading The Golden Age by Michal Ajvaz would be an understatement. This is the book I've been waiting for: that fantastic experience that caught me off guard and absolutely enchanted me. When I talk about wanting books that challenge and surprise me, I'm talking about this. 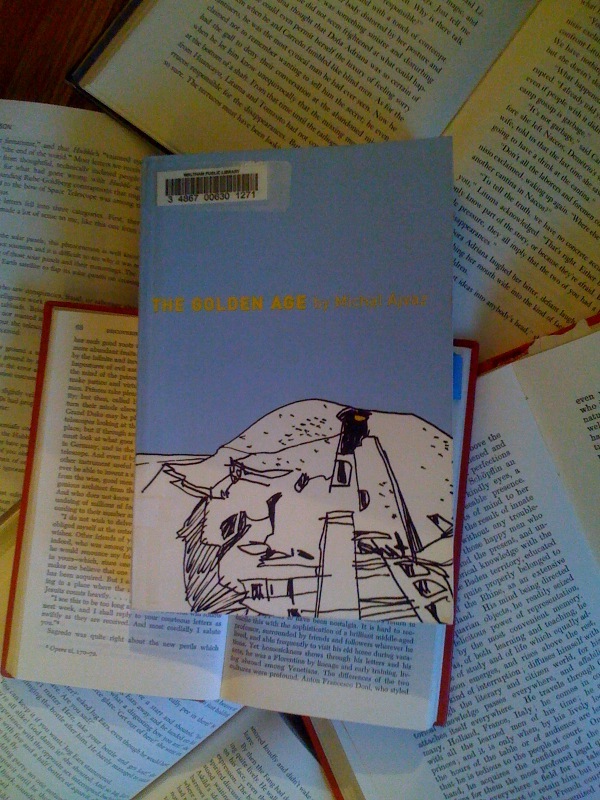 I'm talking about a book as beautiful, as confusing, and as magical as The Golden Age. I know this isn't a book for everyone. I know it's a book that has frustrated some readers with its digression, its stories within stories within stories, with its disconnect, and even with its distinct storytelling style. But it's a novel that appealed to the fantasy-lover within me (and in one particular story, even to my personal sci-fi lover), a novel with a lyrical and light writing style, and wondrous ideas. The novel's structure reminded me of everything I love about stories - the way they digress, the way they fit around each other, and the way they tie back together (or don't). The back of the book would describe the novel as a "travelogue". I found myself thinking of it more as a very descriptive story. The narrator relates to us what he saw and encountered on the unnamed island in a style that one Goodreads reviewer criticized for being all "tell" and no "show". But given the focus of the book on storytelling and language and words, I was not surprised by this telling. Ajvaz creates a lovely miniature world before the reader and hands it off gently. I felt like Ajvaz was sharing something with me, sitting next to me, smirking as I tried to find my bearings in his multi-layered world. I can easily divide the book into two parts. The first focuses more on straight-up descriptions of the island - a few anecdotes and references, but it's mostly Ajvaz building the island and its world. The second (which does have a small overlap with the world-building) is more storytelling itself. Ajvaz's focus on language melts away into stories that twist around and rise up from the depths of each other. To a certain degree, this writing style reminded me of the wonderful World's End (Volume 8 of Neil Gaiman's The Sandman), in that it houses many levels of stories within stories and is told in a similarly magical tone. If I had to level any complaints against this beautiful book, I would have to admit that the ending is abrupt. It's bad enough that I didn't want the book to end at all, but like any book of this kind, there can be no true cut-off. Ajvaz himself, in referencing the internal stories, admits that stories can go on forever and ever. You can always go deeper. You can always find another story that relates. You can always keep the magic going. "This is the book I've been waiting for: that fantastic experience that caught me off guard and absolutely enchanted me." That's exactly the feeling I was hoping for as I picked up a new novel today but after reading your description of this book I thought I should shelf mine for awhile and try to locate a copy of "The Golden Age." Lovely review.